Eat This, My Friend is a collection of recipes for the foodie-to-be. As the market become saturated with artfully shot star-chef recipes books, O'Donahoo's mission is to offer what she calls a moment of authenticity and calm. 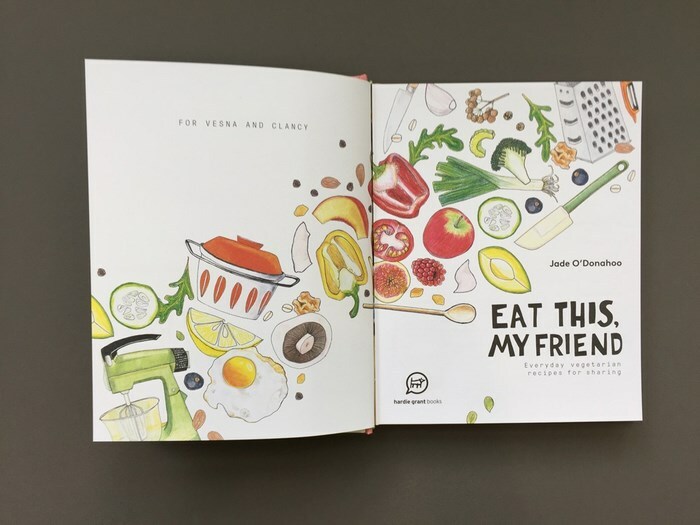 Eat This, My Friend is a compendium of hand-lettered and hand-illustrated recipes, all created by O'Donahoo. 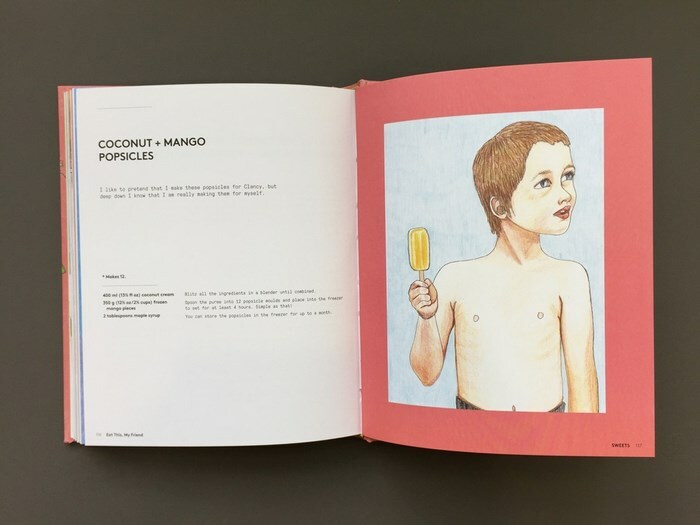 The 60 recipes are presented across five chapters (breakfast and brunch, lunch, sides, dinner, and sweets). All are meat free and represent the way O'Donahoo likes to cook and eat; prioritizing vegetables, using wholefoods, and avoiding refined sugar, without the need for searching high and low for obscure ingredients. It is simple food that nourishes you and tastes great. Jade O’Donahoo was co-founder and operator of the acclaimed hole-in-the-wall café Switch Board, opened in the heritage-listed Manchester Unity building in central Melbourne in 2005. Her book project started as a promise to a customer, devastated by news that Jade was selling the café and that her favourite dishes would be available no more. “Don’t worry,” Jade said, “the recipes are so easy, I’ll just write them down for you!” And so Jade’s little book came to be. As it grew, she recognised that she had something special on her hands, something that she would like to share with a wider audience. Jade has a blog, Eat This My Friend, and is also now studying to be a teacher. She cares for her young son, nurtures a backyard vegetable patch, loves skateboarding, and is engaged in her local community – particularly anything to do with food. Every recipe I've made so far has been a hit! This book is both beautiful and functional. Every delicious, easy to follow recipe is accompanied by an equally delicious looking illustration. 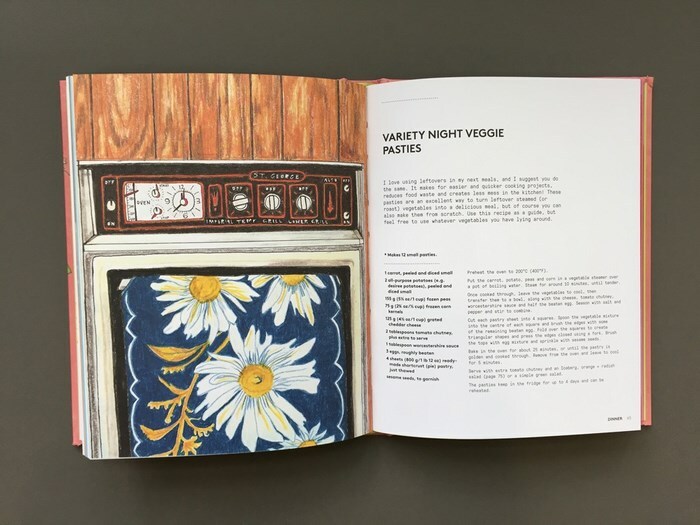 It's not a long book, but each carefully curated recipe is easy to follow with easy to find ingredients and they all come together with ease, and so much colour as to match the wonderful illustrations. It's a vegetarian cook book, but don't let that stop you, everyone needs to get their two and five. 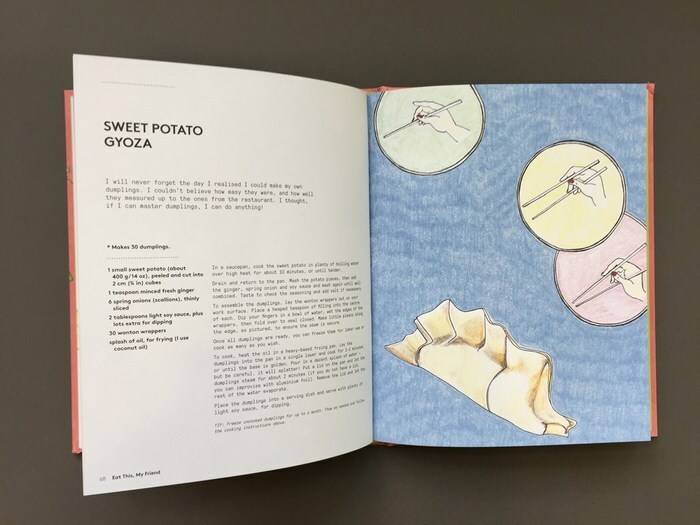 Really clear and yummy recipes with beautiful illustrations! Great cookbook, have already used multiple recipes and all are delicious!! Simple delisious vegetarian recipies. Great pictures. Would recommend. Have bought as gift for friend. In a world where food, cooking and even how to style your meals has become complicated - this beautiful little book brings it back to where it should be. Using simple, natural vegetarian ingredients it covers everything from soups to snacks. 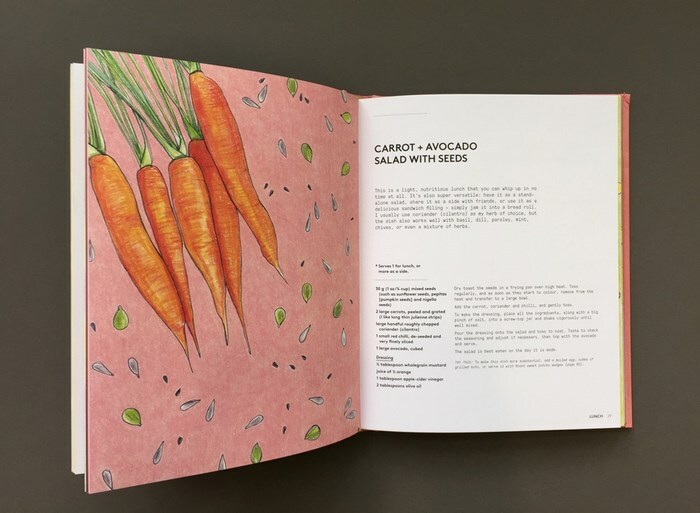 Coupled with cute illustrations it makes cooking healthy food feel just as relaxing as reading a book.